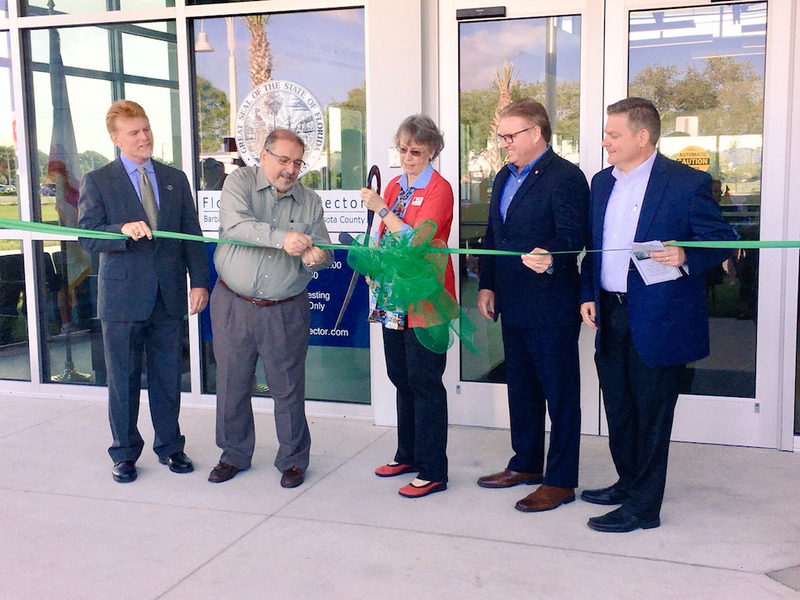 Sarasota County commissioners cut the ceremonial ribbon on May 2 to mark the completion of the Mid County Tax Collector’s Office, which is located at 6100 Sawyer Loop Road in Sarasota. 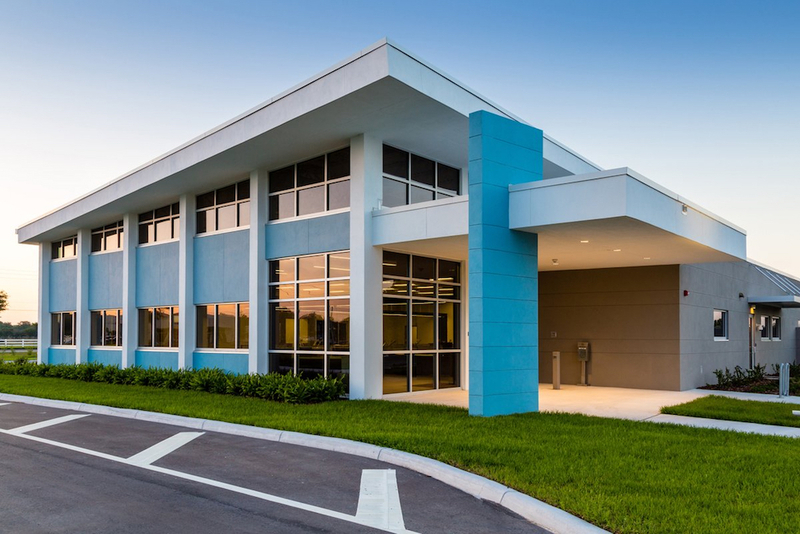 The new facility — opened to the public on April 30 — was a joint effort of the Sarasota County Tax Collector, Sarasota County Public Works, Fawley Bryant Architects and Tandem Construction, a news release notes. The center replaces the driver’s license office at 601 S. Pompano Ave., by the Sarasota County Fairgrounds, as well as the South Sarasota Office at 8484 S. Tamiami Trail, the Tax Collector’s Office website points out. The 10,770-square-foot building on Sawyer Loop Road provides enhanced services for Sarasota County residents, including the issuance of drivers’ licenses, vehicle titles and registrations, as well as tax payment collection, the news release adds. The new structure also features an after-hours payment drop-box and a drive-through service, the release notes. Additionally, the nearly 6-acre site has a road course for drivers’ license testing, “which allows motorists to demonstrate their driving competence under safe and controlled conditions,” the release points out. The facility was designed with sustainable building practices and materials, including LED lighting, high-efficiency air conditioning, environmentally sustainable materials and native plant species that do not require ongoing irrigation, the release adds. The total project cost was $6.68 million.